In the past, signage was used only to communicate or advocate a certain message. The term itself was popularized in the mid-70s, when it included only visual graphics displayed on street signs, billboards, murals, banners, sandwich boards, etc. With the development of computers came along the advancement in graphic design, and now we can see digital signage on highways, at airports, exhibitions, public installations, auto dealerships, and even as outdoor advertising. Today, digital signage uses LCD, LED and the newest Projection technologies that display digital images, video and even streaming media in real time. These displays use Content Management Systems which include digital media distributions governed by PCs and servers that give their owners full freedom in controlling the content and satisfying the needs of consumers. 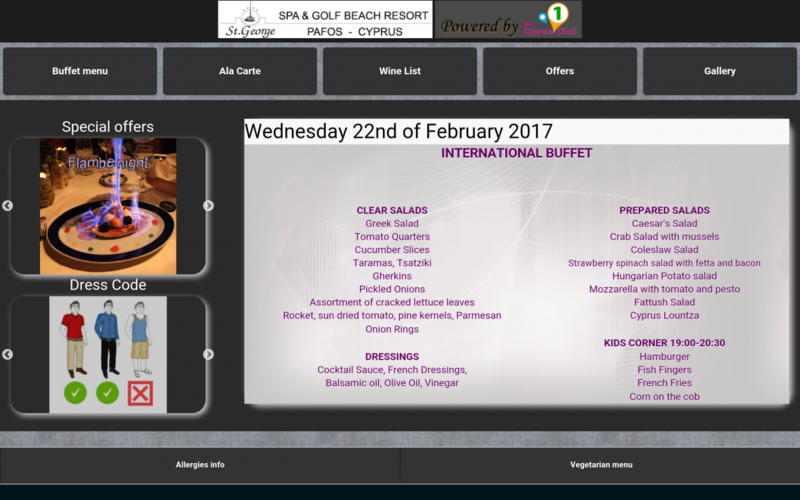 Here in DD Cyprus1Click we have our own in house CMS(Content management System) name 1ClickCMS and its very easy and simple to use.1ClickCMS is developed specifically for Interactive Digital Signage systems. New content can be added/updated or edited easily with a simple click.The changes are reflected automatically and instantly on the Digital signage screen. There are endless possibilities for digital signage in 2017 and hence on. Integration across platforms can be one of the first things that can further develop, which means that one can control digital signage via PC, local server, tablet or even mobile device. Since sophisticated content strategies have integrated different apps and computers all in one, it can be expected that digital software providers include this in their line of products as well. Since the industry is constantly evolving and changing, being a normal phenomenon, it is also expected that trends evolve as well. Technology is there only to satisfy the needs of the business and their main focus – consumers. It is expected for new platforms to be more user-friendly and become even smaller than they currently are. Simplicity may be the key in digital signage in the future. Nevertheless, the biggest impact on the digital signage industry can be expected to come in terms of interaction. Since consumers’ needs drive business, digital software providers have to think of a way to engage them more, thus getting data directly from them, as well as the possibility of analyzing that data to improve the business. In the spirit of the digital era, the only answer to the question: “To Touch, or Not to Touch?” – would be to touch, of course! The usage of touchscreens and interactive boards is expected to bring the revolution in this industry, which would in turn result in higher Consumer Satisfaction Indexes and an overall balance in the consumer-business relationship. Since the future is inevitably coming, it is up to you and your company to embrace it and accept what it brings. Whether you are ready for it or not, it is clear that one needs to be updated and hold the key in one’s hands to influence the possible outcomes. Knowledge and information are every business’s demand, and it is always better if you are well-informed and ahead of your competition. Request a digital signage demo or order our DS solution, and control your future!